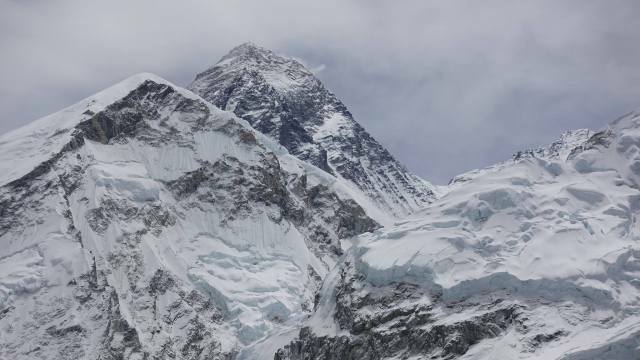 KATHMANDU, May 14: Australian Steve Plain became the fastest climber to scale the highest peaks in seven continents, taking 117 days for a feat popularly called the “Seven Summits”, after he scaled Mount Everest early on Monday, his expedition company in Nepal said. Plain, 36, from Albury, Australia, reached the 8,850-metre (29,035-foot) peak of the world’s tallest mountain after climbing more than seven hours from the final camp, at the 8,000 m (26,246-foot) South Col, to claim the record. “He has set the record of climbing Seven Summits in the shortest time of 117 days,” said Ishwari Paudel, an official of the Himalayan Guides hiking company that handled logistics for the climber. Few details of the climb were available. Apart from Everest, the six highest peaks are Denali (North America), Elbrus (Europe), Vinson (Antarctica), Aconcagua (South America), Kilimanjaro (Africa) and Papua New Guinea’s Carstensz Pyramid (Australasia/Oceania).